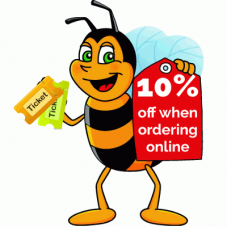 Special Offer Promotion 10% discount when you purchase online. Why not pre order your Bicton Gardens fun day out entrance tickets online before you visit us or buy a friend a day out at Bicton as a gift for a special occasion. Remember you can upgrade to an annual member for an extra £9.00 per person when purchasing a Day Ticket. 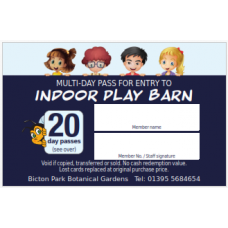 This ticket allows access to Bicton Gardens, please print out or have your emailed order available a..
Pre order a 20 visit pass to the indoor play barn for members only. Please print out or have your..